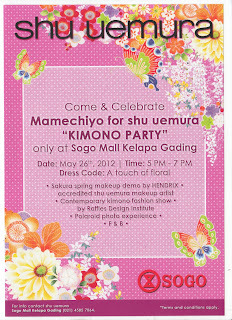 Hello, lovelies~ Last Saturday, shu uemura held a Mamechiyo Kimono Party at Sogo Mall Kelapa Gading. On this event shu uemura collaborated with Mamechiyo, who is a modern kimono artist from Japan. 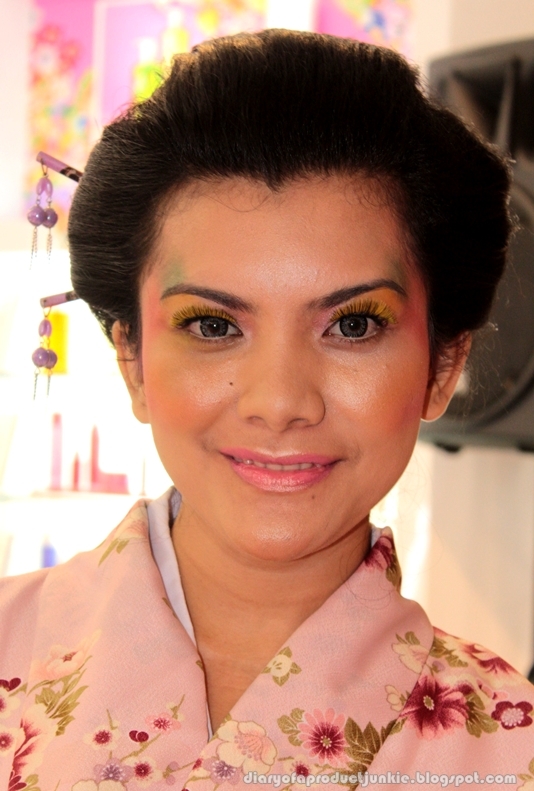 She was inspired by the alluring flowers of Japan; Fuji, Sakura, Botan and Ume. The collection was also inspired by the fresh colors of the spring season. 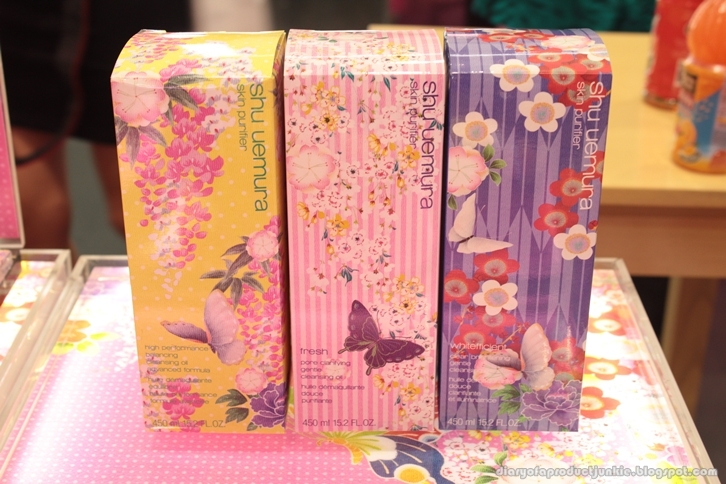 On this event, shu uemura launched their signature cleansing oils and UV BB mousse that was limited edition products as they have different prints on the bottles. They also showcased the kimonos from Mamechiyo collection right next to the limited edition shu uemura cleansing oils and BB mousse. The combination of colors immediately reminded of a playful yet serene season of spring. The guests to the event got polaroid photos taken by the shu uemura staff. We got our pictures taken with the polaroid, which was kinda neat. 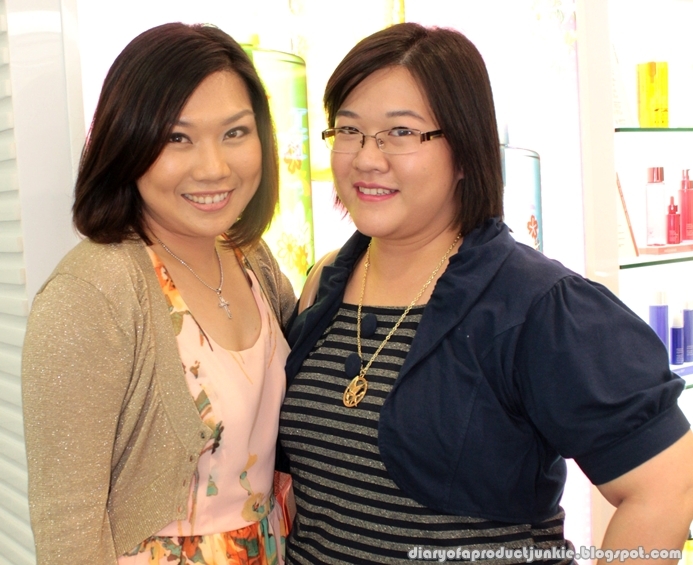 The picture above is taken with the brand manager. 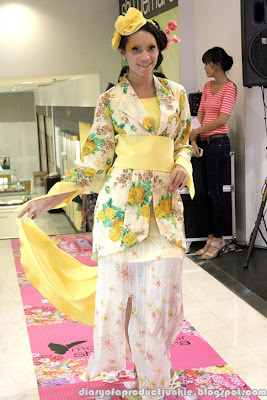 After exploring the new Mamechiyo collaboration products, a fashion show was held to show off contemporary kimono made by students of the Raffles Design Institute. 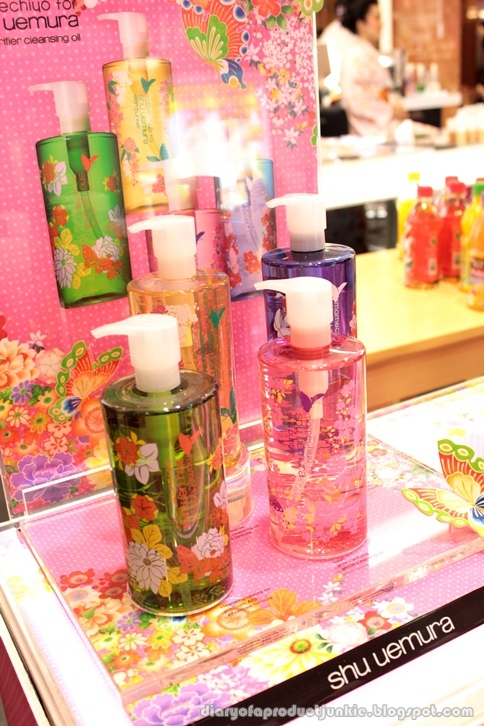 There were 8 designs in total based on the four exquisite Japanese flowers. 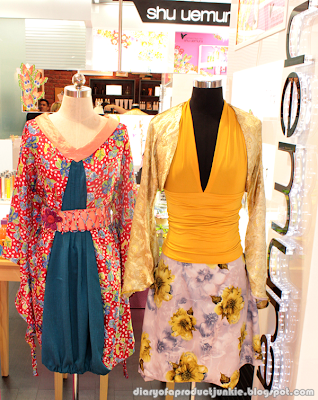 I find the kimonos are both cute, girly and edgy all at the same time. 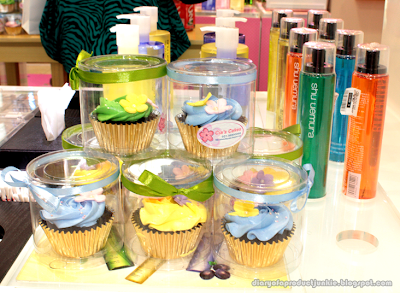 The yellow ones are the ones I favor. It shows off a traditional side of an ordinary Japanese kimono, but few tweaks and it becomes an edgy, daring piece of fabric. 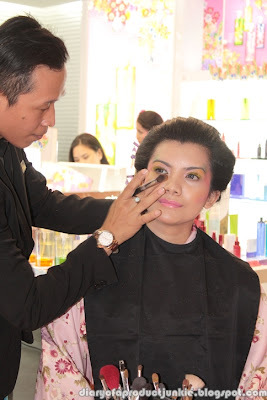 After the fashion show, there was a makeover demo done by Mr. Hendrix. He used pastel colors inspired by the Mamechiyo collection, embracing the colors of spring. 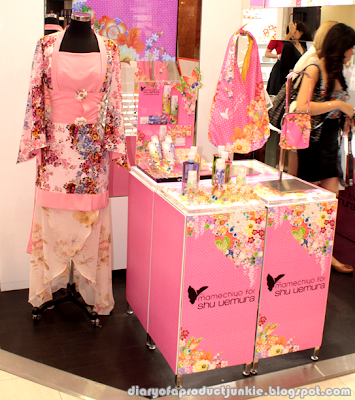 The model wore a sweet pink kimono with flowers as prints. 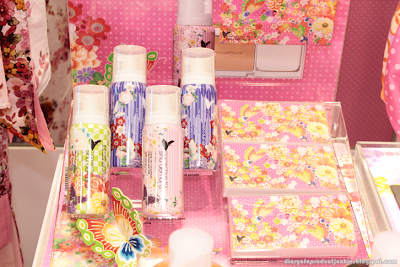 I wish I had a kimono. 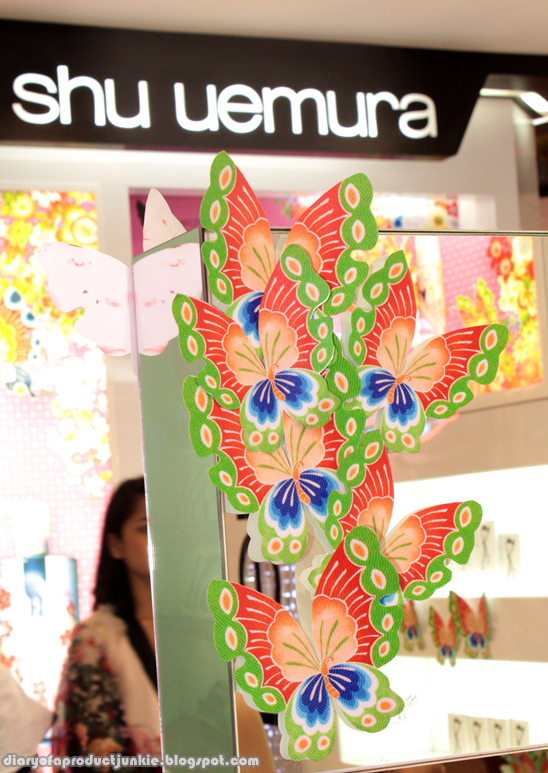 Before the event ended, it's time to announce the winner of the kimono design competition. 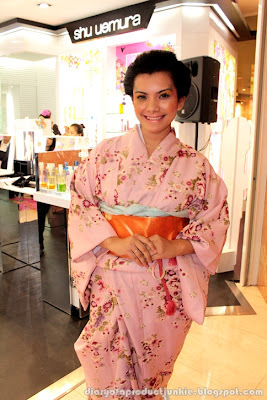 It was delightful to see that my favorite kimono won. I wanted the designer to win because it was such a beautiful yet edgy design. There were refreshments provided by shu uemura, which are adorable cupcakes and cool drinks. 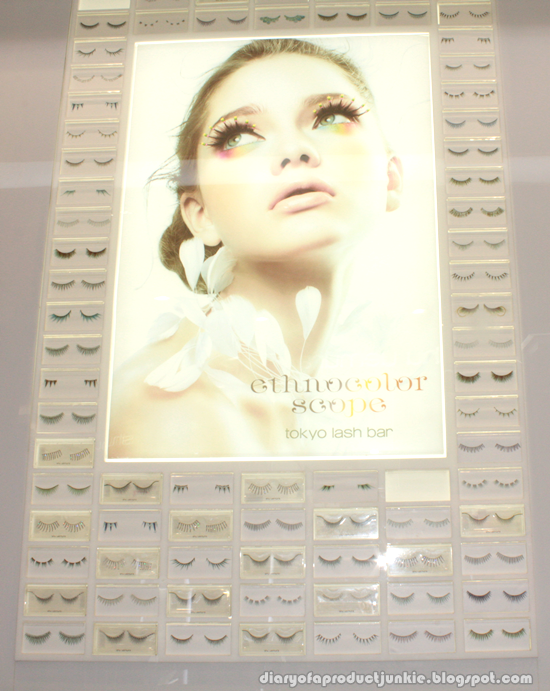 Oh, there was a wall that has tons of eyelashes, from natural to dramatic ones. 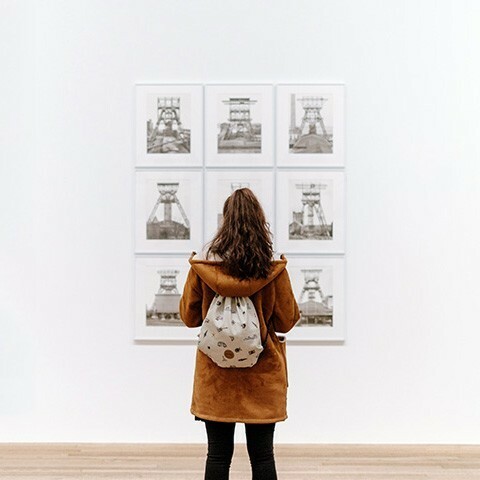 I'll have to check them out sometimes. 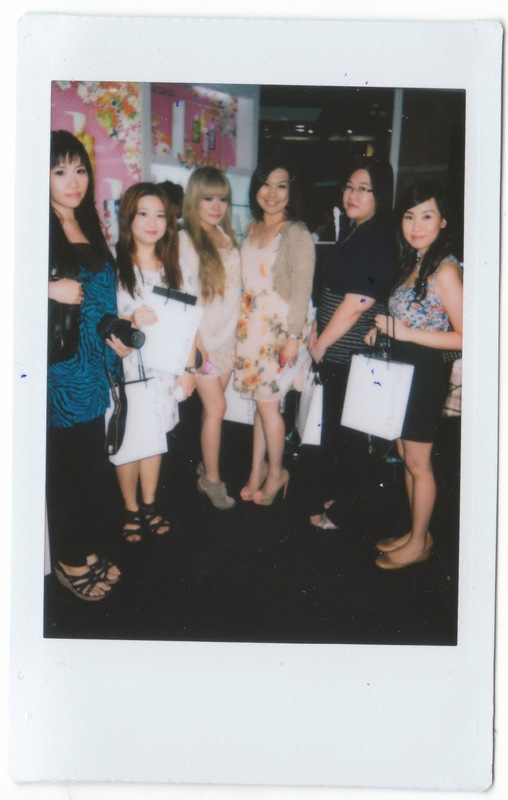 It was a splendid evening filled with makeup demo, fashion shows, and polaroid photos. I was grateful to be given the opportunity to attend the Kimono Party by shu uemura. If you would like to check out the limited edition and colorful prints, visit your nearest shu uemura counter for more information and details.